Last weekend I had the opportunity to be part of something good. Nearly 5,000 runners participated in the 13.1 NYC Half Marathon that raised $250,000 to provide clean water for families in Africa through a World Vision project. Because of the support of many friends and family, my part was raising enough money for 22 kids to have safe water for the rest of their lives. Having lived in Uganda for 3 years, the run had a special significance for me. I carried all our water in 5-gallon jerry cans from the river, boiled it, then allowed time for all the particles to settle before using it. Many of our neighbors though couldn’t afford the fuel to boil their water and as a result suffered illness. Our souls yearn to belong to something good, something right, something inspirational. We want to make a difference. 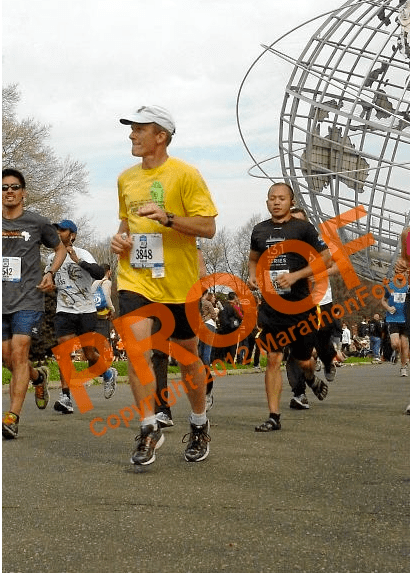 I was lucky to run around Queens on a beautiful Saturday morning with a bunch of other people also on a mission. Throughout our sabbatical year we will be searching out “good causes” and featuring them on our blog. You travels have taken you and will continue to take you much further than a small little half Marathon around queens and you will meet many people who run hundreds of miles as a means of basic transportation. I finally ran my first trail run of 25 miles last weekend and it makes me respect the people who use their feet for transportation to and from wherever they need to go. We are blessed and I love that you unselfishly share you blessings with those who may need you help the most. Enjoy your travels and I will look forward to reading your blogs. Be safe my friend of many years gone by, I hope to reconnect with you soon.